Come on in and see why we are ranked # 5 on Earth by entertainmentdesigner.com! 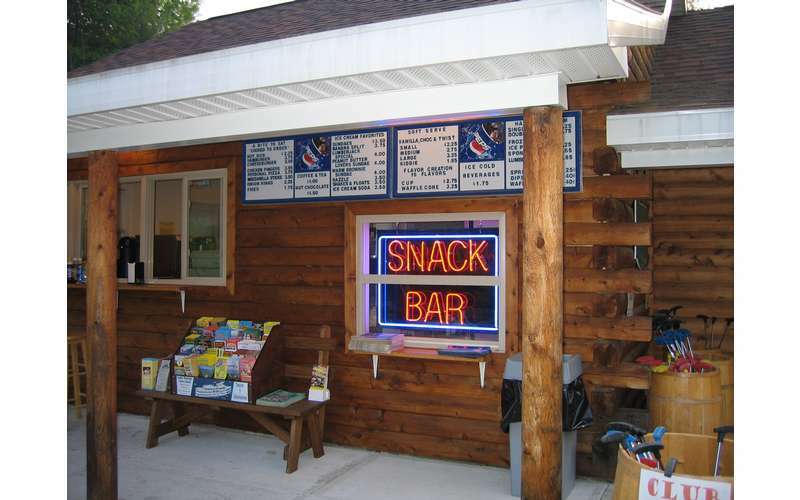 We are the Lake George Region's largest, least expensive, and the only mini golf course in the region to offer our players a free soft serve ice cream treat for each paid admission. Our players say it best - we are the best deal in town! We're also the only course to offer unlimited play for the day - check out our website for details!!! 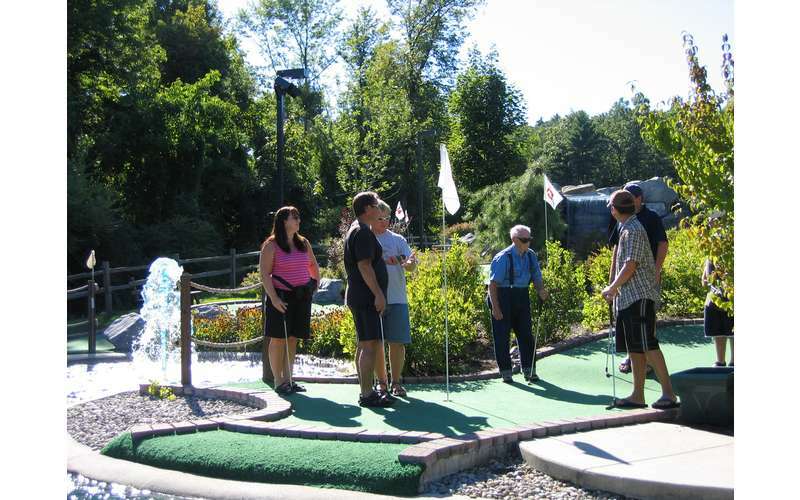 Lumberjack Pass Mini Golf features 18 challenging holes in a beautiful Lake George Adirondack setting. 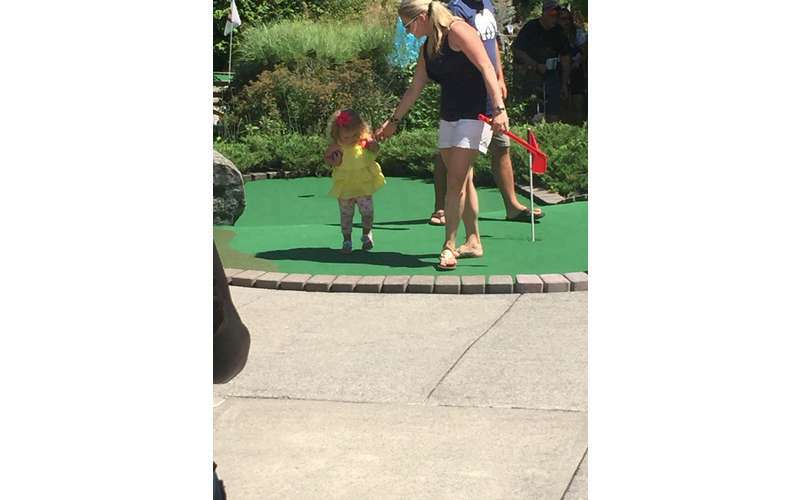 Our mini golf course is built on an acre of lushly landscaped Adirondack beauty. 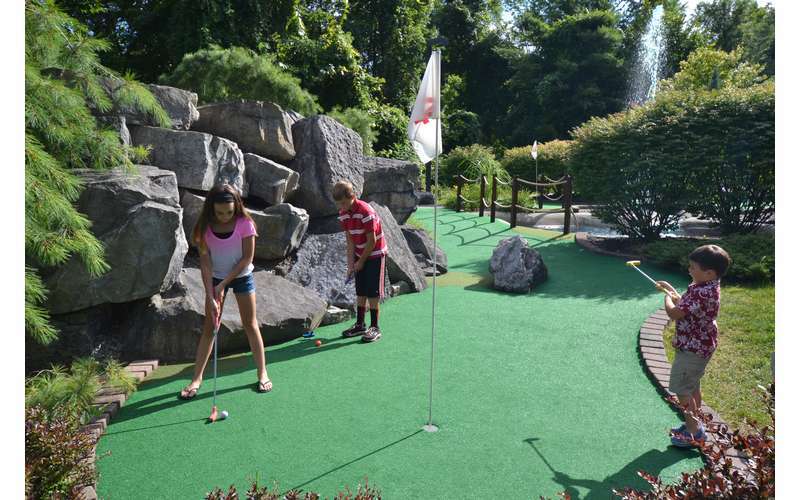 Listen to the soothing sounds of our streams and natural stone waterfall while enjoying the fun of miniature golf. 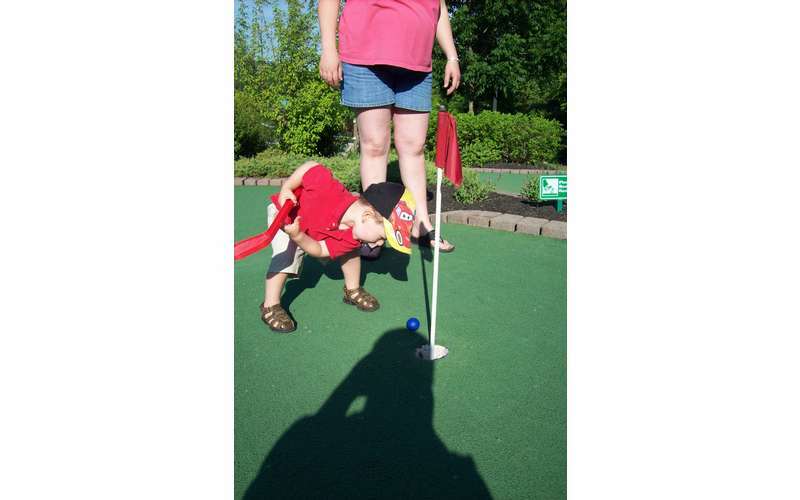 The challenging putting greens are full of undulations, water hazards, and sand traps! 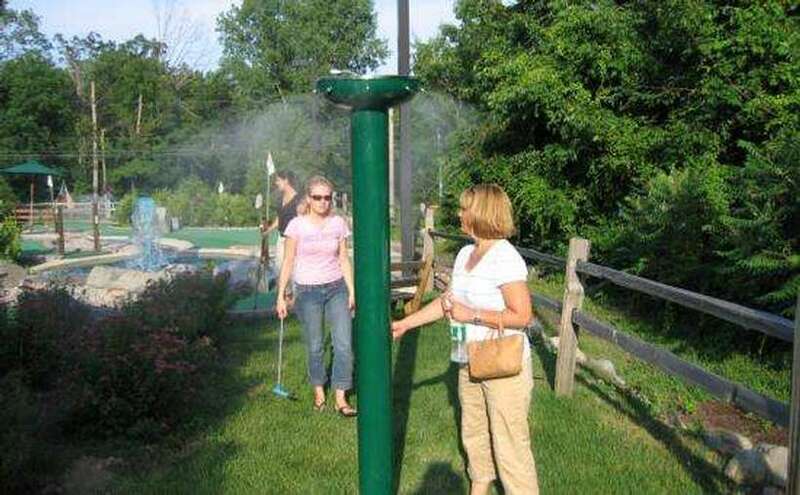 We are the only mini golf course in the area with misters for your playing pleasure. 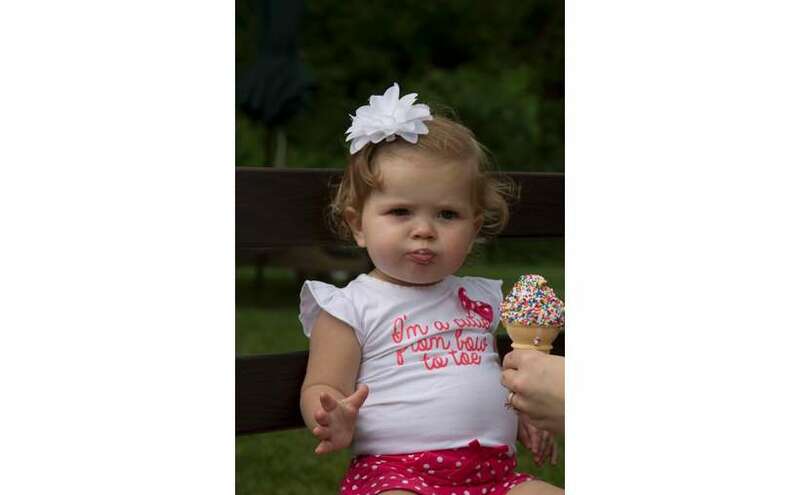 Just push the button to cool down on those hot and sunny days! 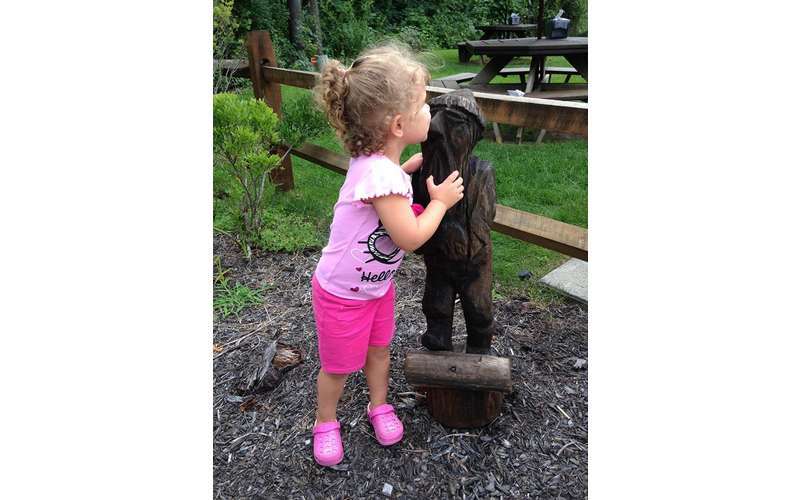 Check out our website for details on our Dine and Play Specials! We'll see you soon!